The RX imola is a cost effective system that delivers consistent high quality results. 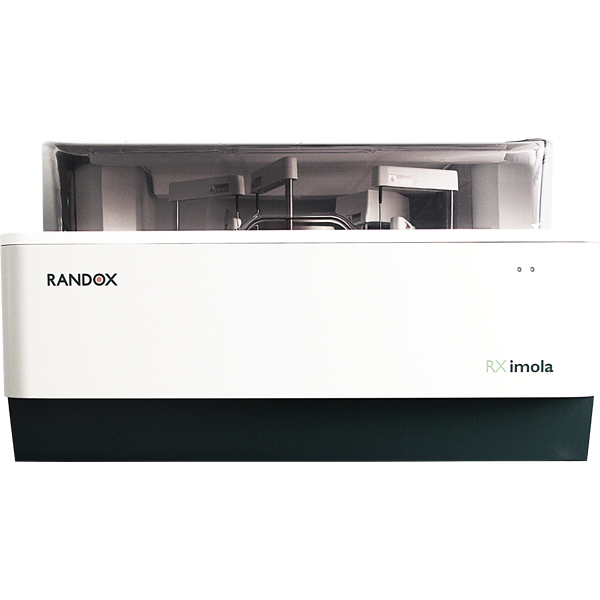 Capable of handling the workload of a medium to high throughput laboratory the RX imola provides rapid, comprehensive testing on a small footprint analyser. The RX imola is a fully automated system with random access and STAT sampling functionality, boosting productivity and saving time when it matters most.